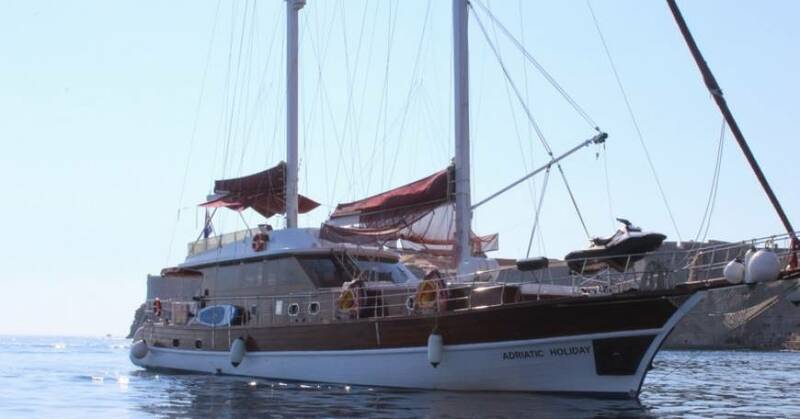 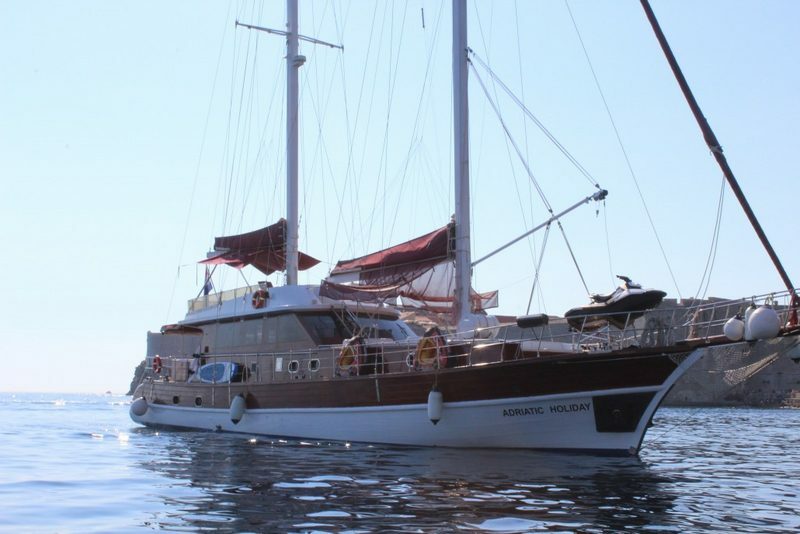 Gulet Adriatic Holiday is a beautiful cruising wooden gulet, ideal for exploring charming seaside towns of the Adriatic coast. 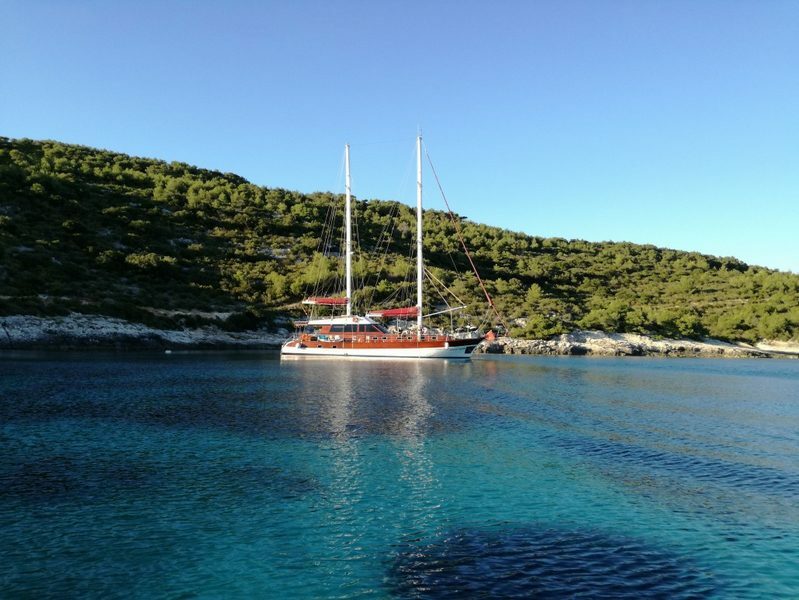 This lovely gulet welcomes as many as 10 charter guests aboard, comfortably accommodating them in her 2 twin cabins, 2 double cabins and one master cabin. 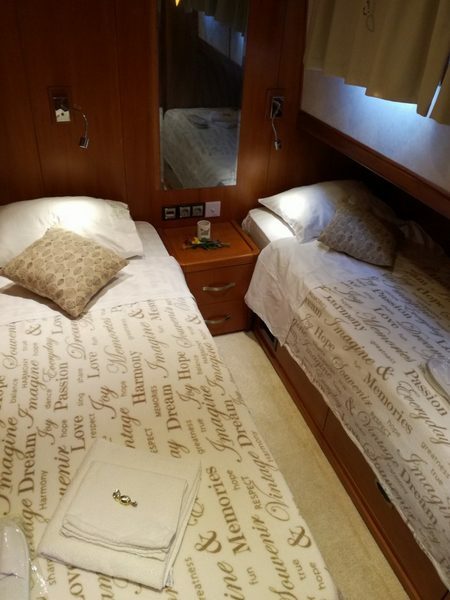 The master cabin boasts an island king size bed and every cabin is air-conditioned and has TV, CD / DVD player and en suite bathrooms. 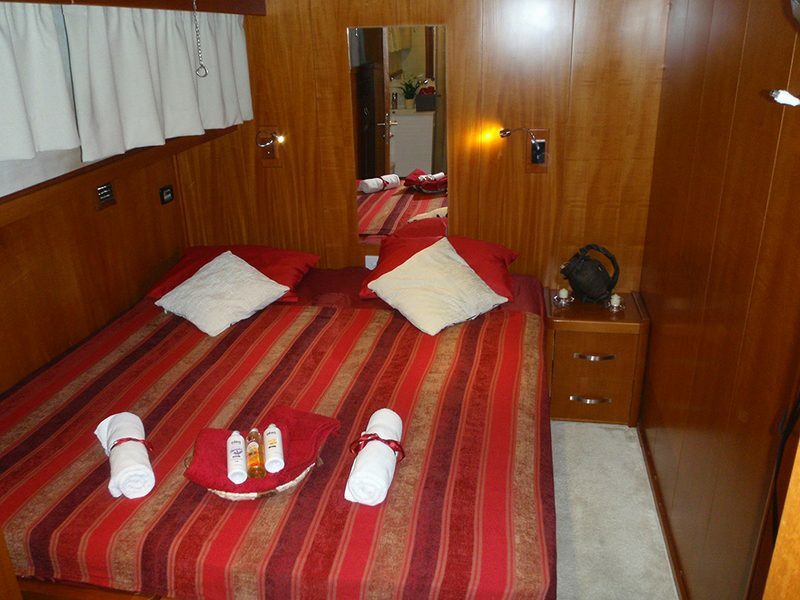 Another advantage of the gulet’s layout is that the twin cabins may be converted to double cabins should the guests wish so. 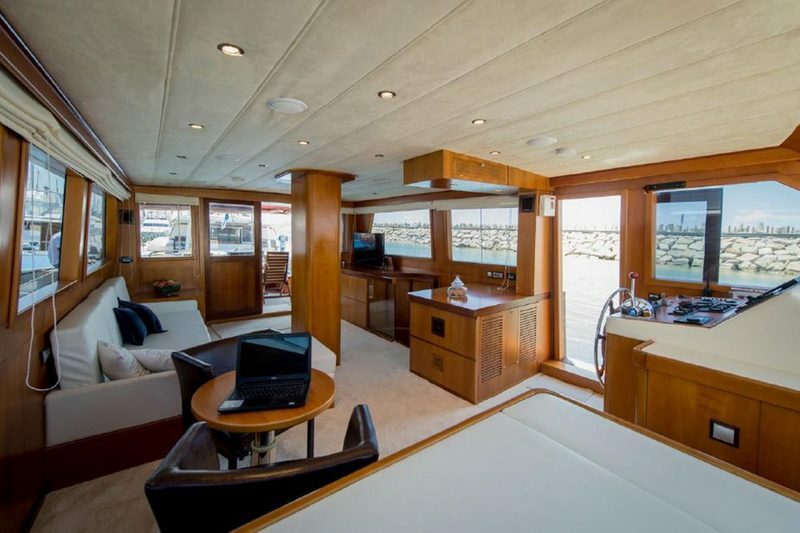 A bright and spacious salon is the place where guests can relax, dine and entertain while the exterior areas offer a huge fly bridge with plenty of mattresses for sunbathing or enjoying a good book. 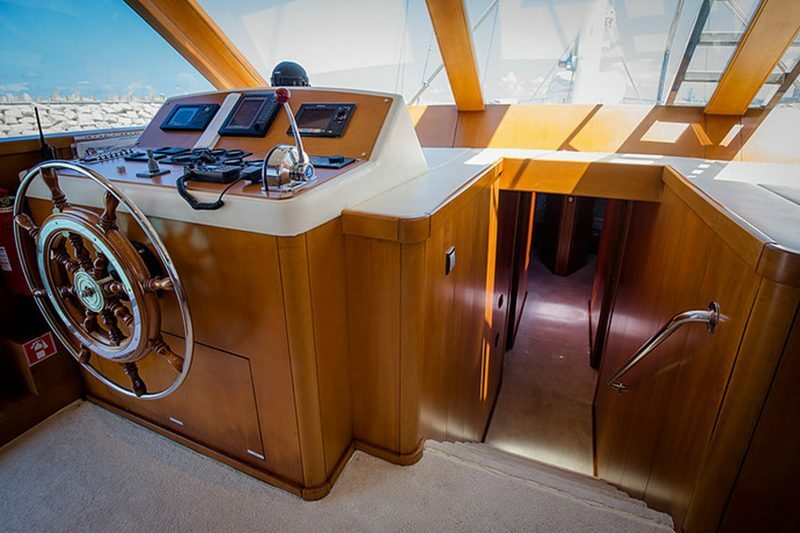 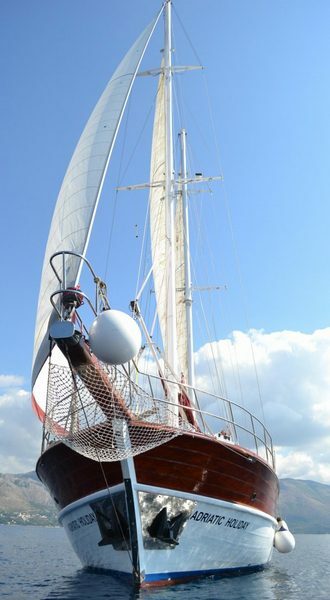 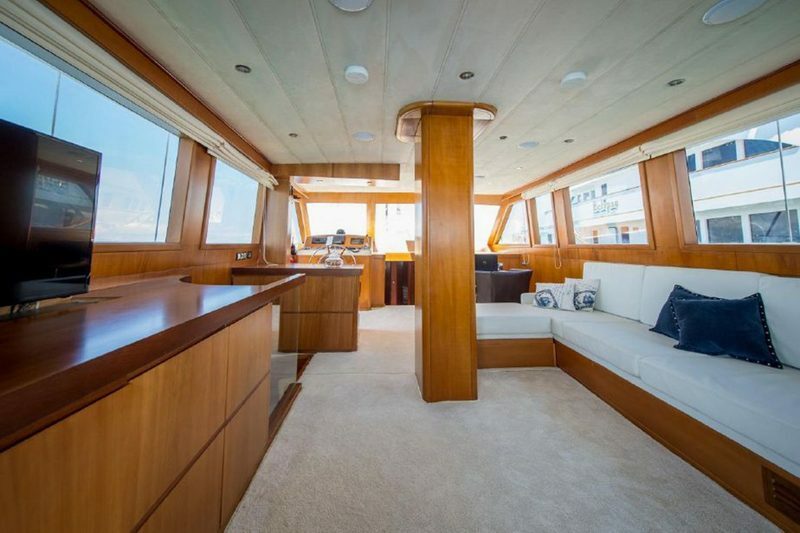 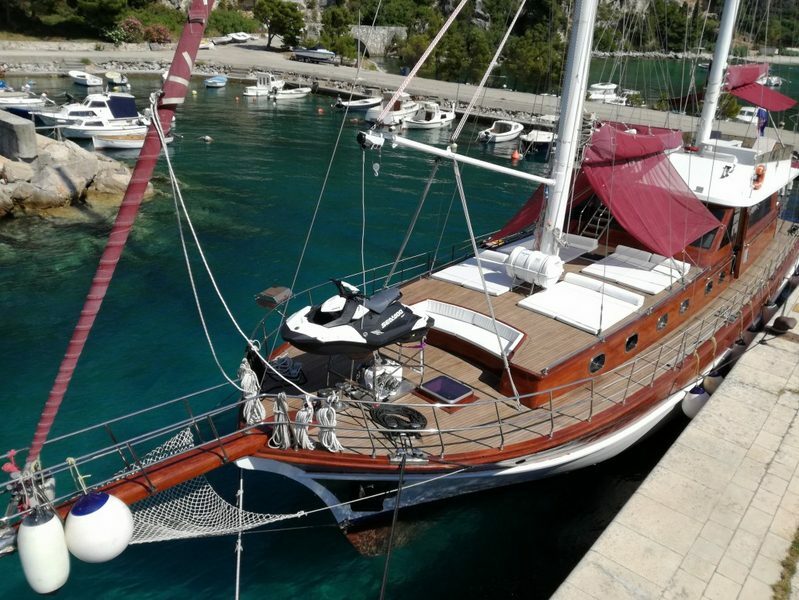 All the sports enthusiasts will be pleased to know that this gulet also has stairs that lead directly from the foredeck to the sea platform, making access from and to the sea all that much easier. 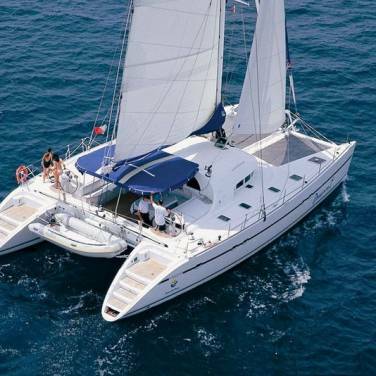 This, and of course a great choice of water toys, makes swimming and other water sports and activities even more fun and relaxing. 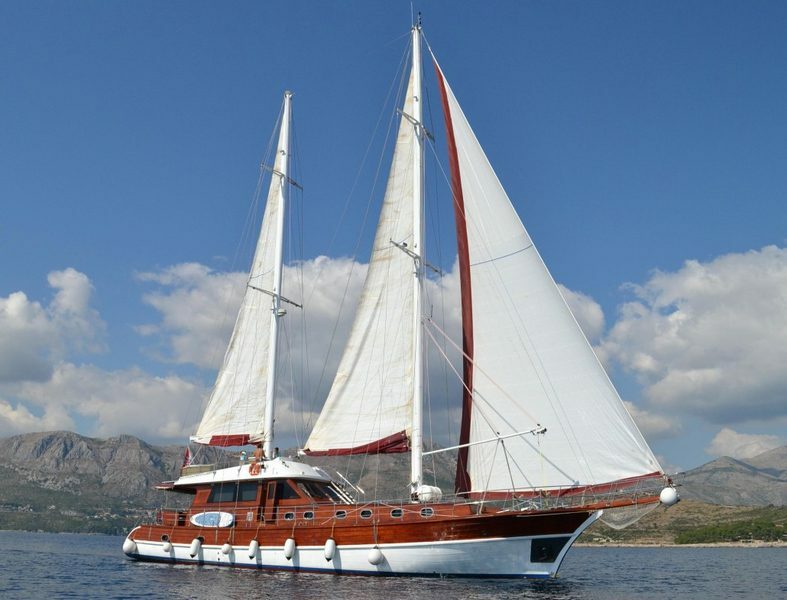 In the presence of 3 charming crew members, the guests will be in safe hands during their cruise aboard Adriatic Holiday. 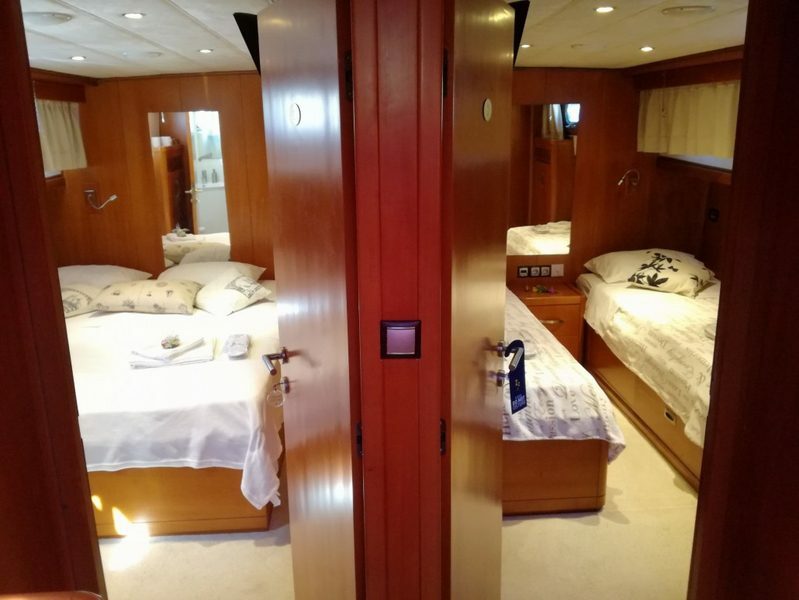 The crew are accommodated in separate sleeping quarters with their own facilities which will allow plenty of privacy to all charter guests. 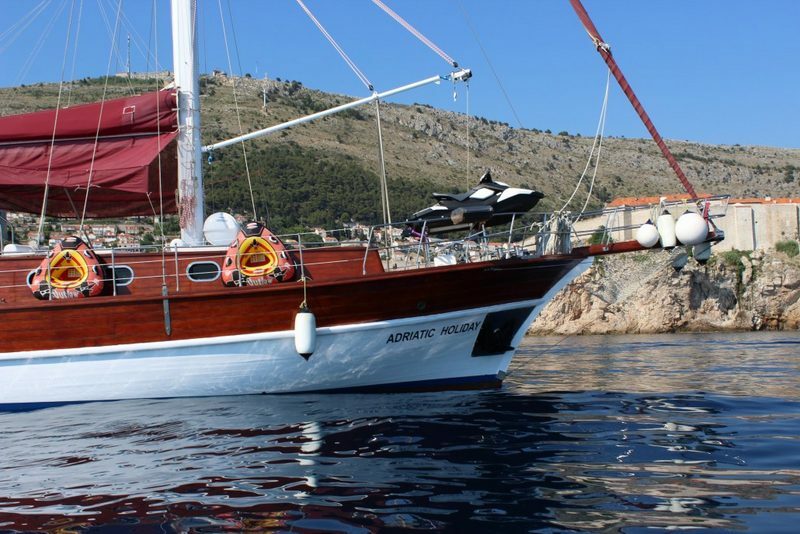 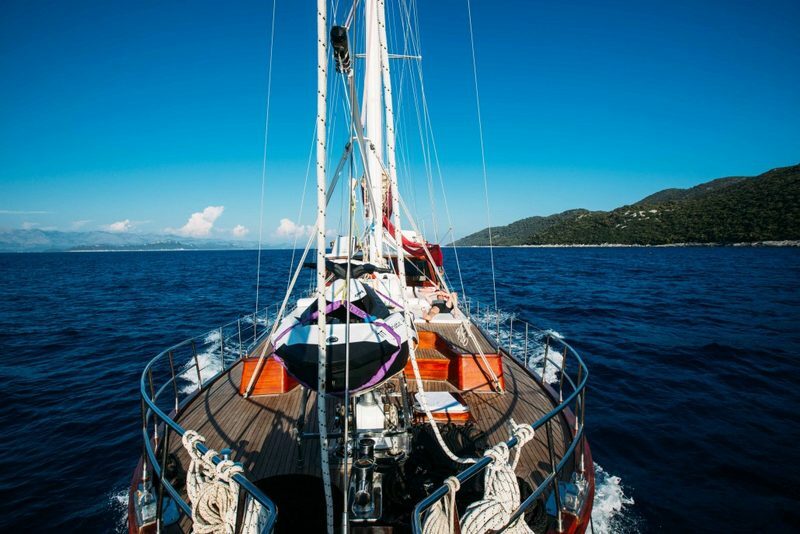 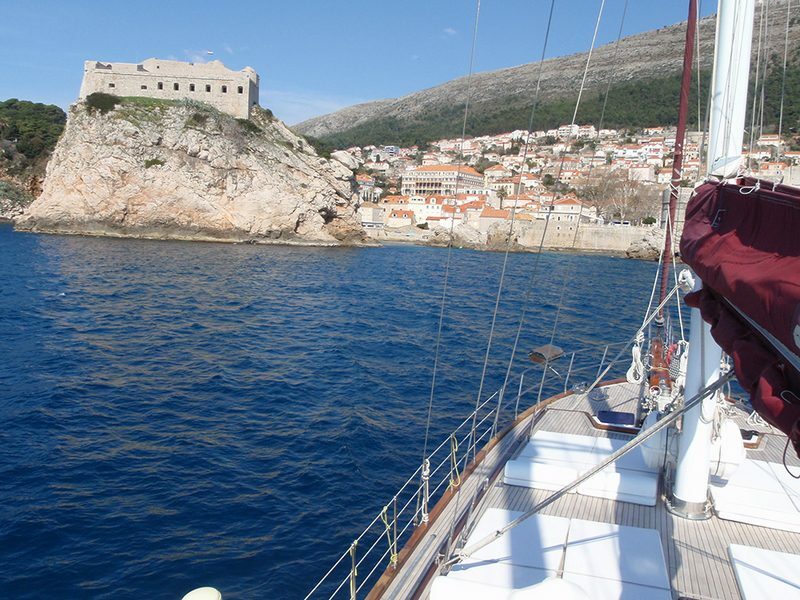 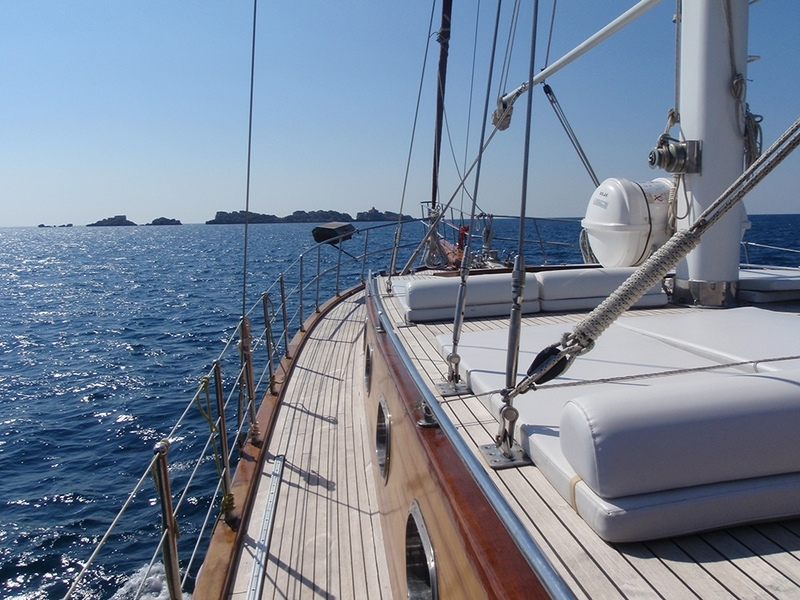 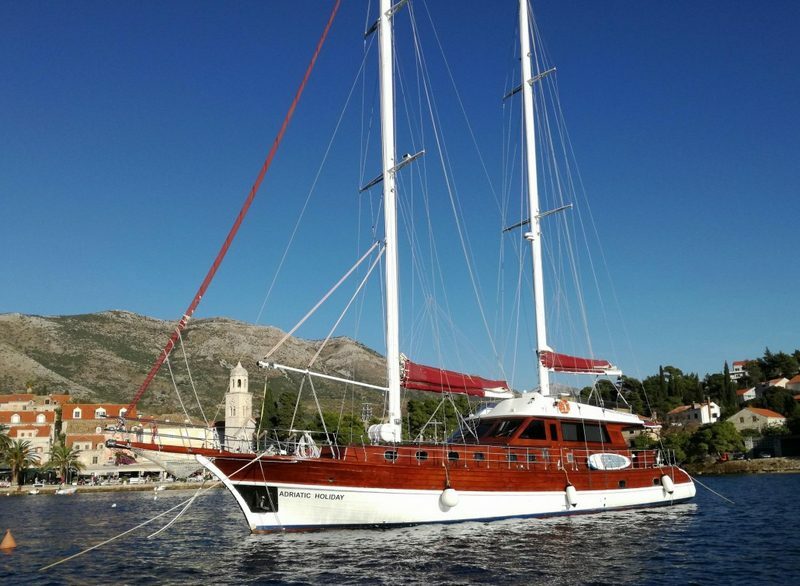 Gulet Adriatic Holiday may be chartered from Split or Dubrovnik area and even one-way charters Split-Dubrovnik or Dubrovnik – Split are also available. 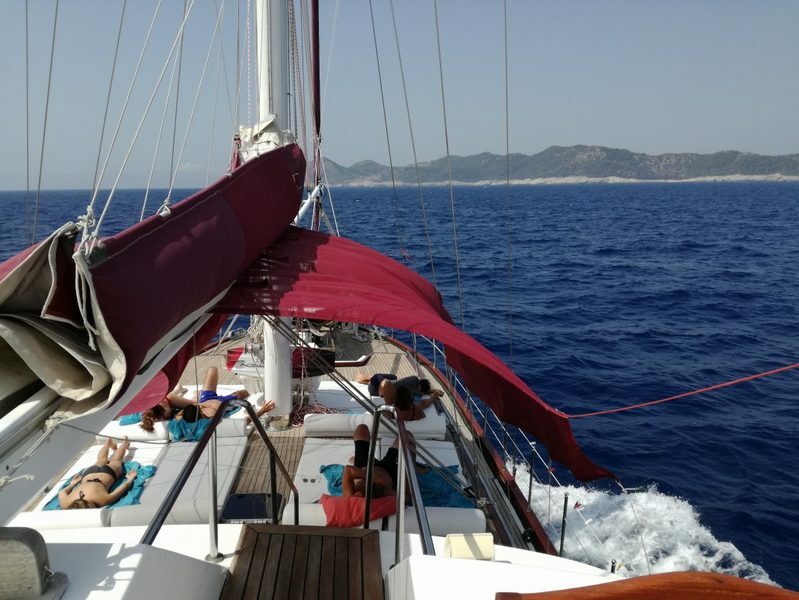 All the cruising routes are highly personalized and can be adapted to the guests’ wishes. 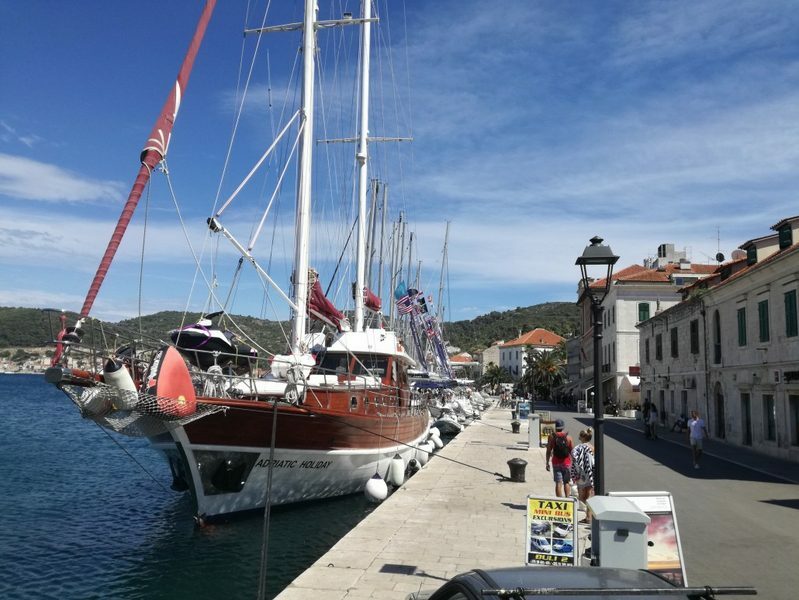 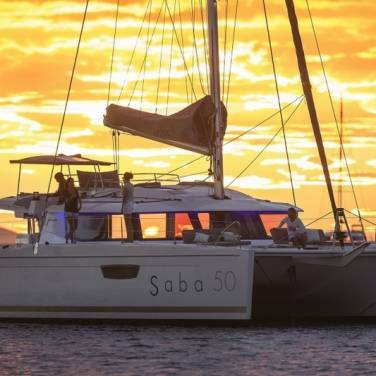 However, the gulet’s knowledgeable captain will without any doubt recommend some of the most sought after jewels of the Adriatic coast such as Elafiti islands, Korčula, Mljet, Vis, Brač, Hvar and other striking Croatian landmarks. 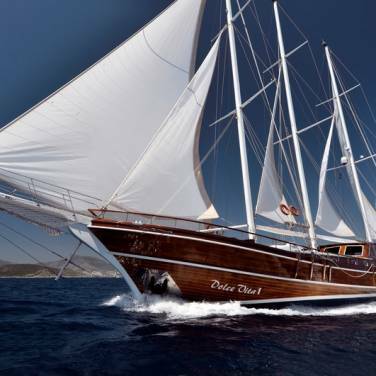 If requested by charter guests, gulet Adriatic Holiday may even set sail to Montenegro, another beautiful destination that will surely complement the clients’ overall gulet cruise experience. 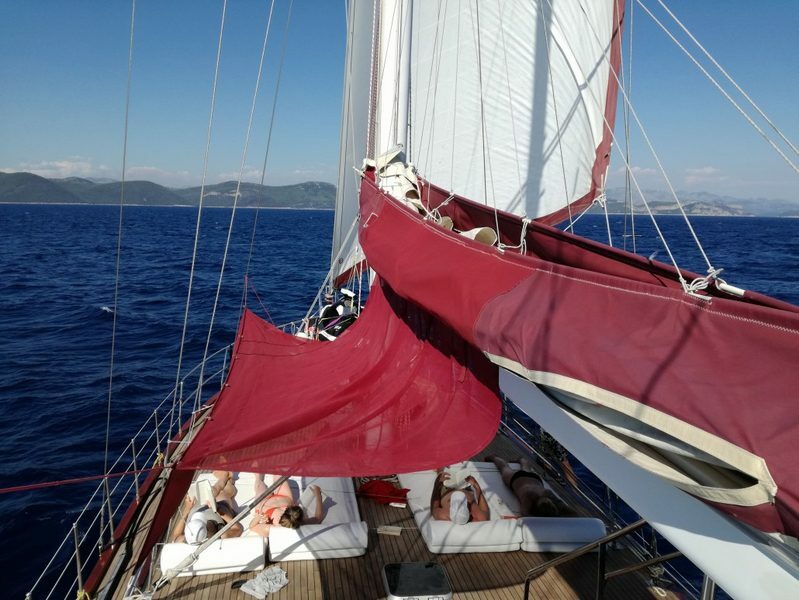 Professional crew, gulet’s beautiful design and tailored cruising routes are only some of the most appealing reasons why booking this gulet is simply a must - do this sailing season. 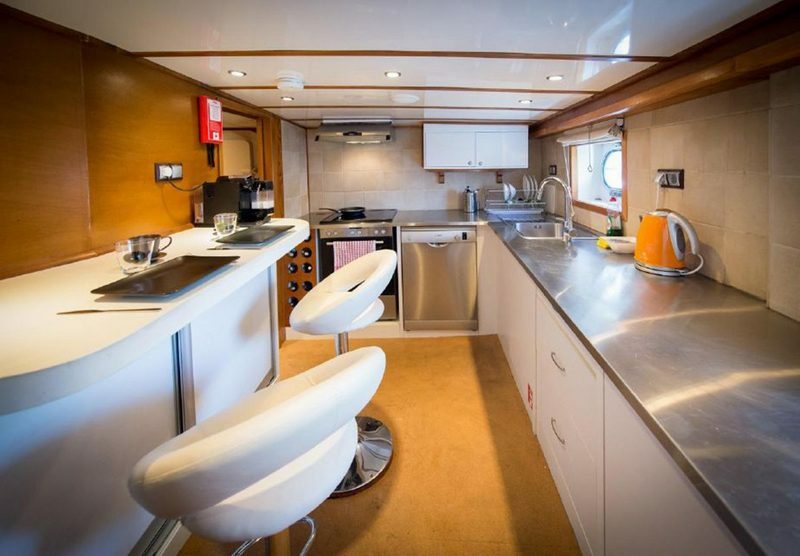 1) Drinks and beverages are available from yacht’s bar by the bar price list. 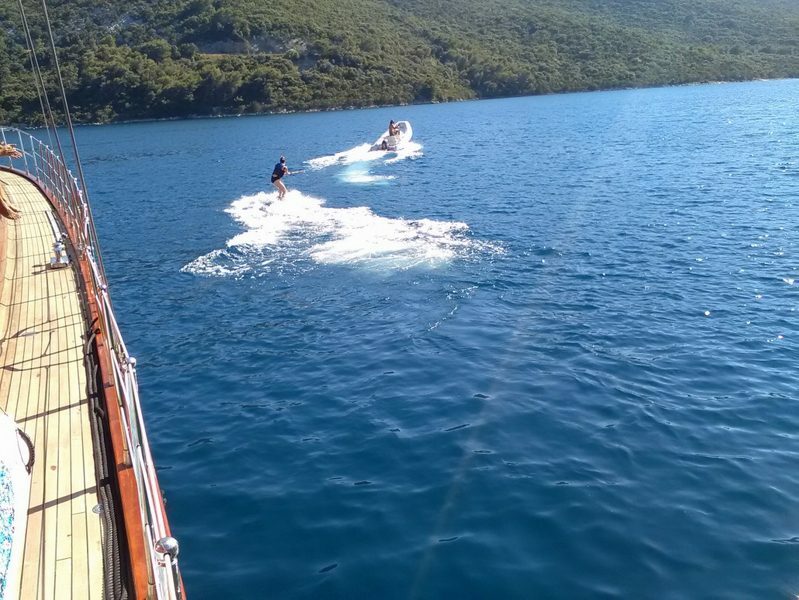 Bringing your own drinks on board is prohibited. 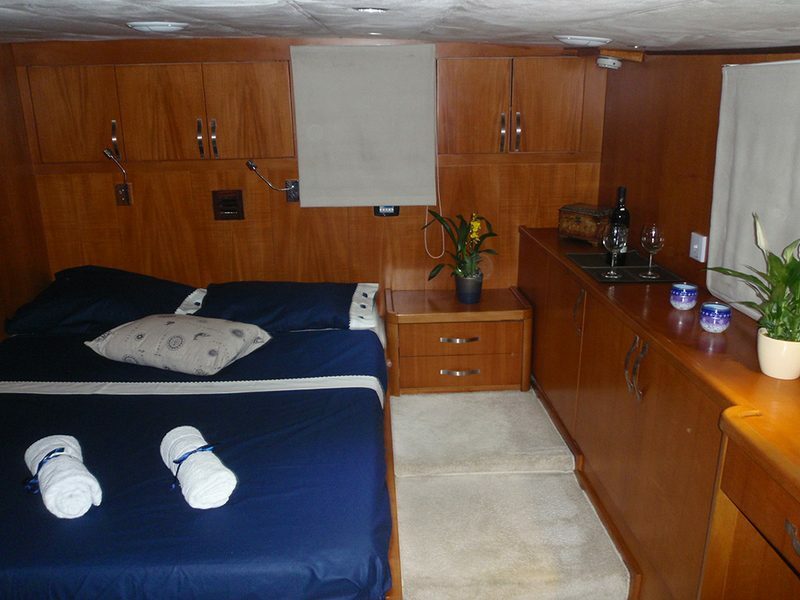 The yacht particulars displayed above are displayed in good faith and whilst believed to be correct, are not guaranteed. 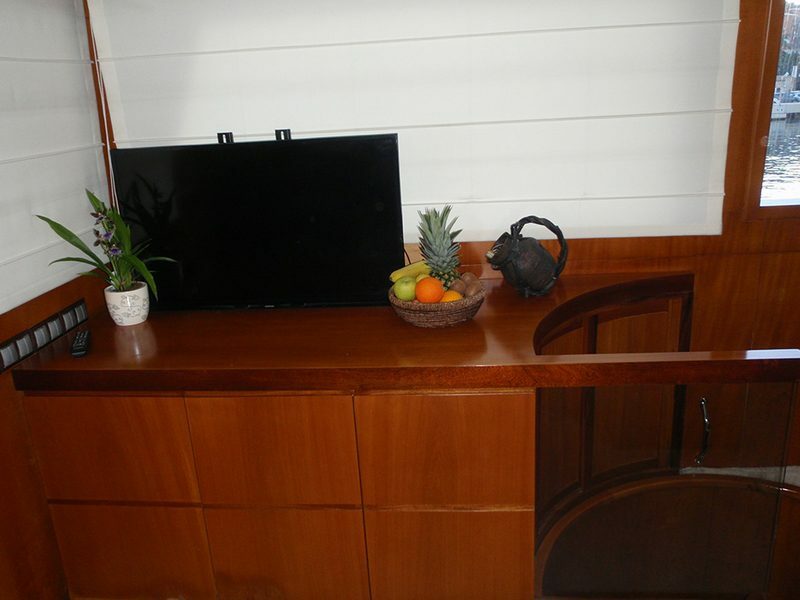 All information is subject to change without any prior notice and is without warranty. 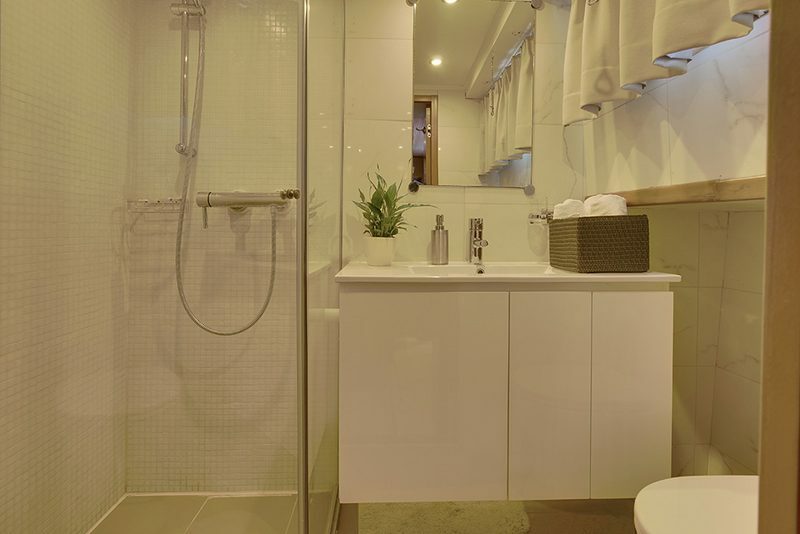 Prices shown in the results above are indicative and may differ from our detailed offer. 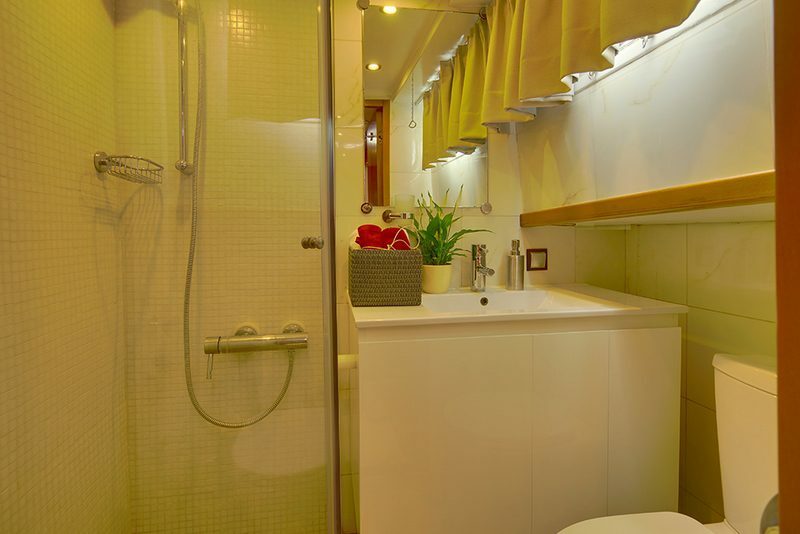 Possible discounts may apply but are not included in the prices indicated above. 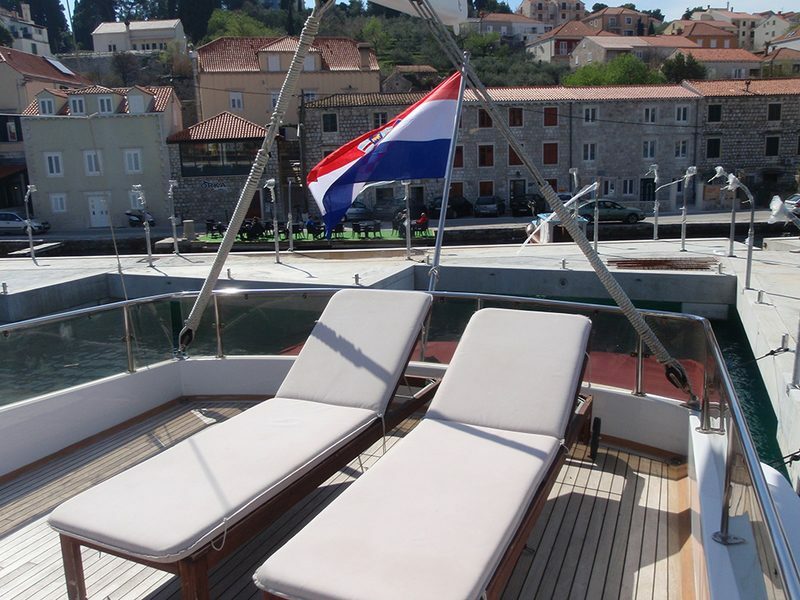 Exact pricing, yacht specifications, pictures/brochures will be confirmed by our booking department upon your request. 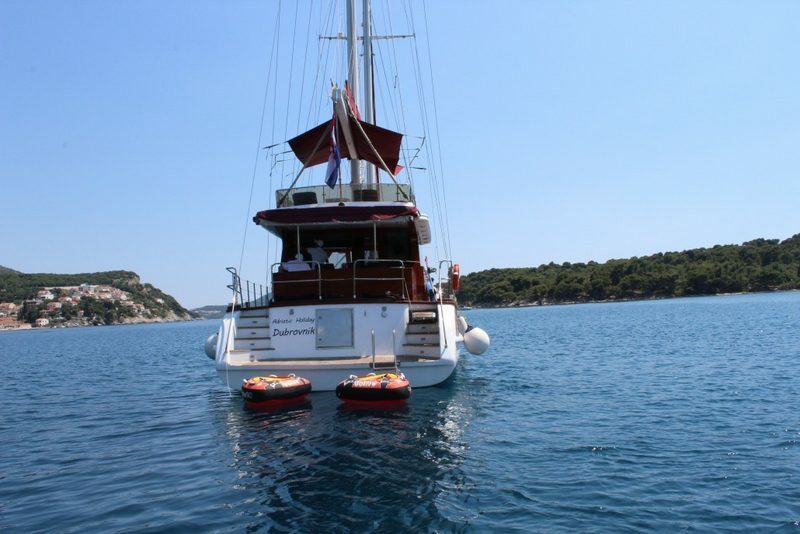 For a more detailed offer, please send us your inquiry.